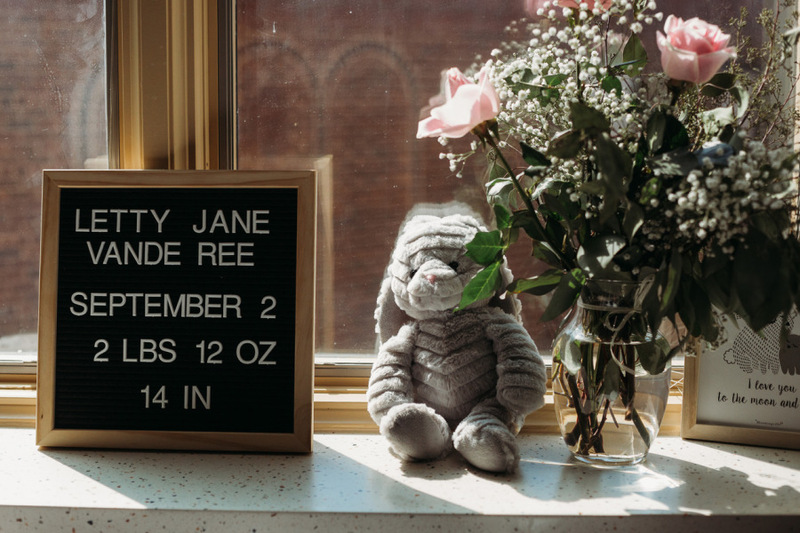 Letty Jane Vande Ree, infant daughter of Jamison and Lisa (Aukeman) Vande Ree of Grand Haven, was born into the arms of Jesus on Sunday, September 2, 2018. In addition to her parents, Letty is survived by her grandparents, Thomas (Lori) Aukeman, Howard (Julie) Van Mersbergen, and Brian (Carri) Vande Ree; and several great-grandparents, aunts, uncles, and cousins. A Funeral Service for Infant Letty’s family will be at 11:00 a.m. on Friday, September 7th, 2018 at Klaassen Family Funeral Home with Pastor David Wisen officiating. Visitation will be on Thursday, September 6th, from 6 – 8 p.m. at the funeral home. Interment will be at Grand Haven Township Lakeshore Cemetery. A Memorial Contribution in Letty’s honor can be made to the family.